Racing is science. Sure, there is skill involved in applying the science to achieve success but, if you deconstruct racing, it comes down to numbers. Being a race car driver is much like running a successful business. You have to sell yourself to sponsors, you need to set and meet goals, and you need to avoid losses. Sorry, pun intended. 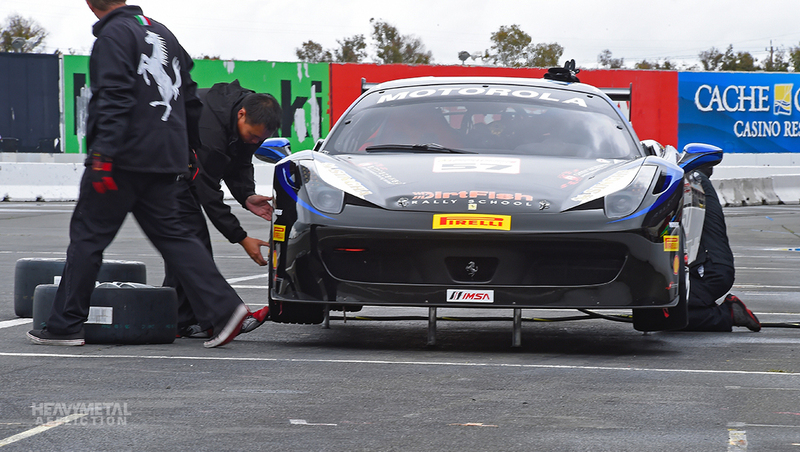 When you consider these two factors, the science and the necessary business acumen, it makes sense that Jackie Heinricher – Gamertag Ferrari Royalty – is finding success and having fun racing in the Ferrari Challenge North America Series. Prior to donning her race suit, helmet, and gloves, Heinricher was a lifelong scientist in biotechnology and ran a successful business purveying the glories of the bamboo plant. Heinricher’s passion for racing began when she bought a Mercedes AMG and, as part of the promotional package, was invited to the AMG Driving Academy. For most of her life, Heinricher was never really into cars; in fact she doesn’t even remember what model Mercedes she owned that got her started on her new journey. These days – aside from her race car – her daily driver is an older Ford F-150 pickup. You don’t have to be a gearhead to love racing but, when your “other” car is a Ferrari 458 Challenge Evo, it somewhat speaks for itself. Heinricher’s first drive at Laguna Seca in a Mercedes AMG SLS taught her a few things about herself and, from there, she dove in to racing. 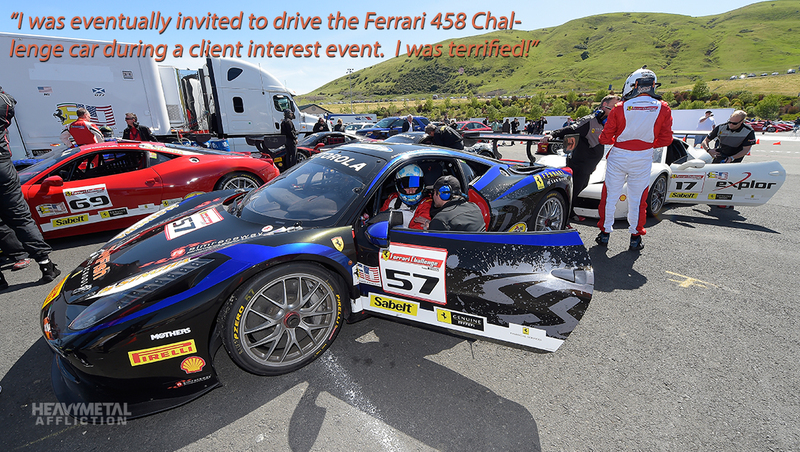 She attended the Skip Barber Racing School and was eventually invited to drive a 458 Challenge car at a client interest event. 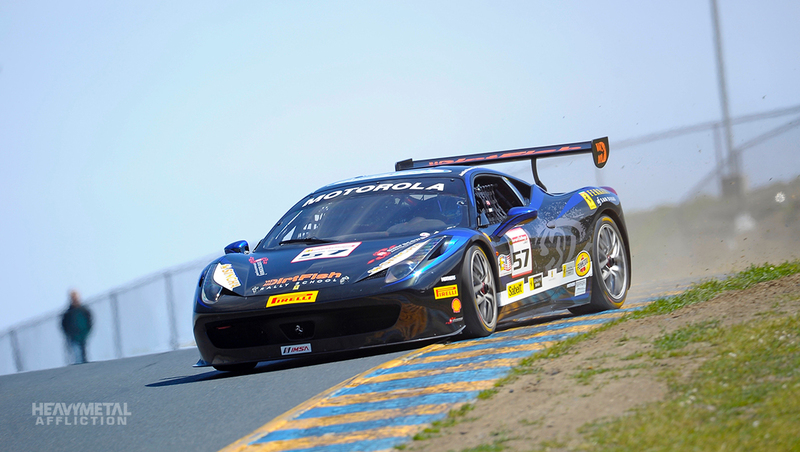 She later bought her 2012 Ferrari 458 Challenge Evo and signed up for the Ferrari Challenge. 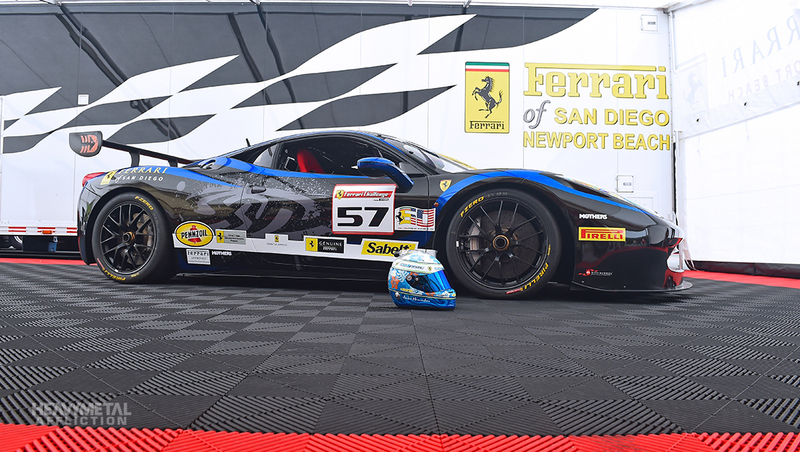 Based on her driving, her personality, and her enthusiasm, she was chosen to compete and she now drives for the Ferrari of San Diego team. 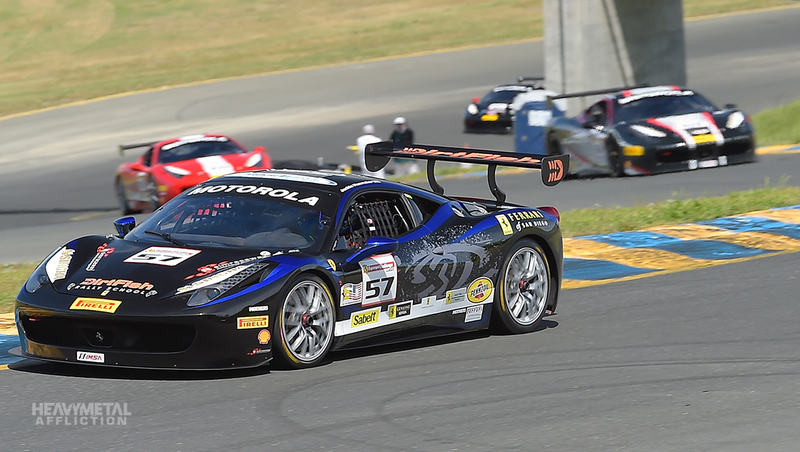 Heinricher drives the #57 Acque Minerali Ferrari 458 Challenge car. She is also sponsored in part by Dirtfish Driving School, who, like Heinricher, are based in the Pacific Northwest. She is also the only female driver worldwide in this “gentleman’s” racing series. 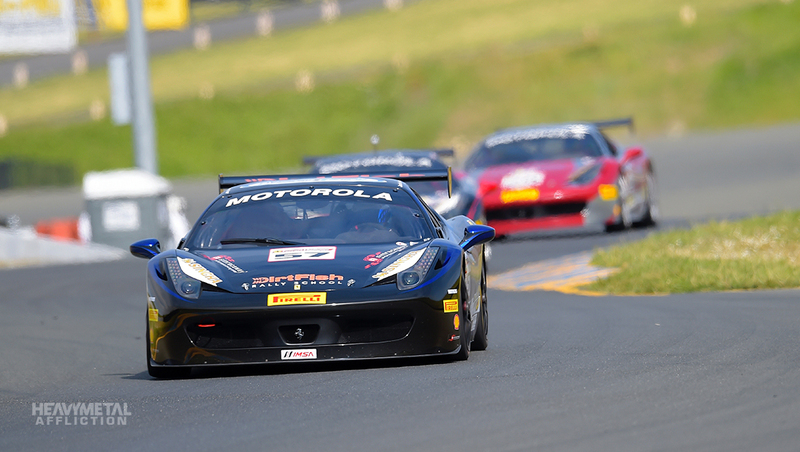 The Ferrari Challenge racing season includes time in simulators, and test sessions at all the tracks included in the 2014 series. There are eight races, and each is a multi-class race. There are around 25-30 cars in the Coppa Shell class Heinrich competes in and they share the track with the Trofeo Pirelli class. Coppa Shell is made up of Novices, and Trofeo Pirelli for those with competition experience. All the cars are equal, leaving the results entirely up to the driver’s ability and the car’s set up. Both classes have a title up for grabs. 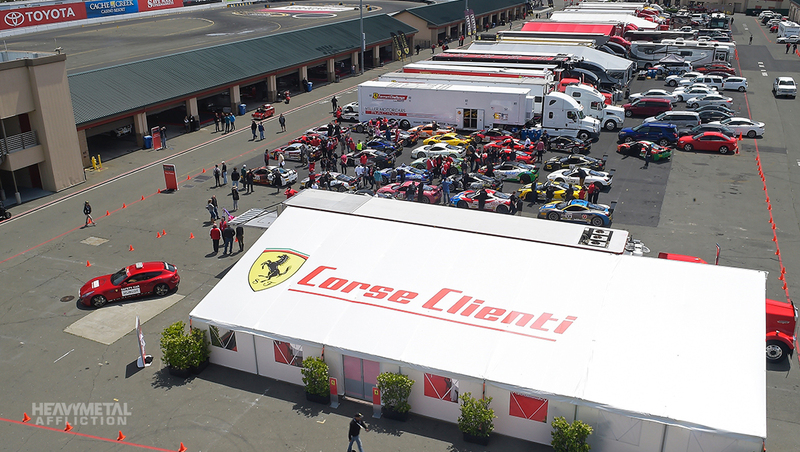 While many of the competitors have day jobs that dominate their lives – and cover the costs of racing (which is somewhere between $350,000 and a half million dollars per year plus the cost of the $345,000 car) – the racing is competitive. 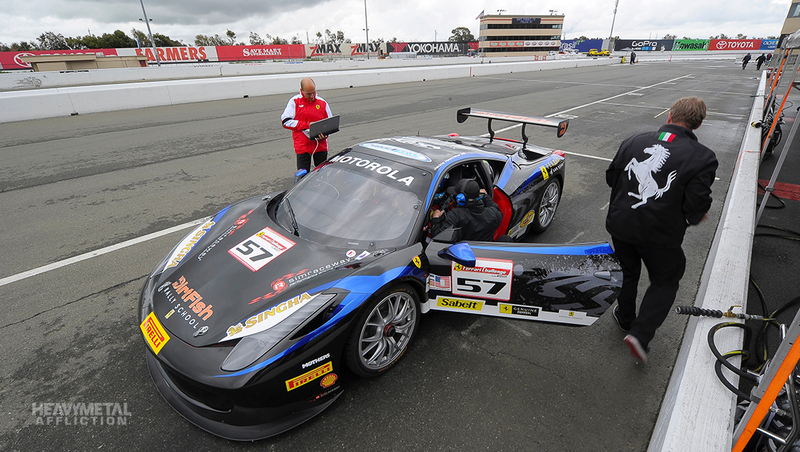 Many drivers, including Heinricher, aspire to further their racing careers by possibly building their own team to compete in series like the Tudor United Sports Car Challenge. Forza Motorsport 5 is also a part of Heinricher’s regimen of training. She recently got set up with her Xbox One and is already thinking about stepping up to a racing seat and wheel set-up. 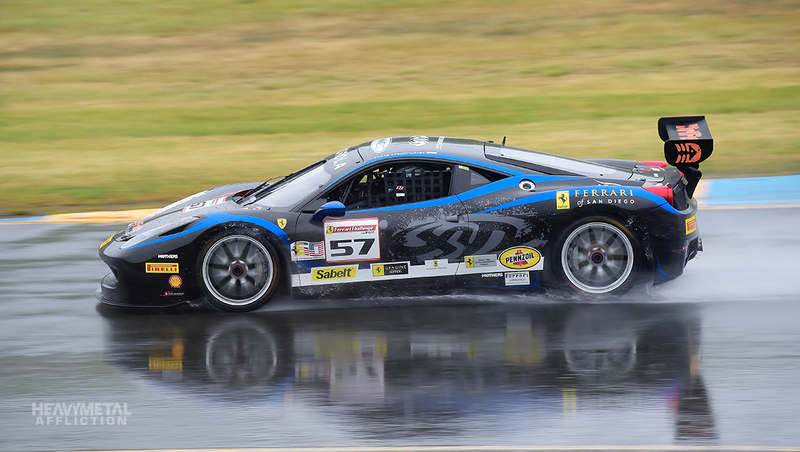 You can pick up your own “Jackie Ferrari” livery and custom tune in-game. For the livery, once you have a 2009 Ferrari 458 Italia, search for “BDI” in the description field and then search. The #57 in both its Dirtfish colors and the Black and Blue livery should come up. To get yourself the matching setup matched to Heinricher’s specs, search for tunemaster “Big Daddy 5637” in the creator field. Recently Heinricher raced at Road America, so I suggest you start there. While racing at Road America, Heinricher had a bit of excitement after working her way through much of the pack. Unbeknownst to her, one of her ABS lines was damaged and, as she approached the braking zone into Turn 1, her rear wheels locked up, sending her spinning into the sand trap. So far, that is the only off-track excursion Heinricher has experienced. “Race craft has been a challenge but I am learning that too as I continue my journey in the Challenge series,” Heinricher said. The 2014 racing season has three races left. So far, Heinricher has finished in the middle of the field in each event thus far. The final two race events coincide with Formula One races at Circuit of the Americas and Abu Dhabi, the latter being the Ferrari Challenge World Finals. Even Heinricher herself is quite astounded by her transition. “I think this aspect of stepping in a car, especially one as fast as the 458, this late in my career makes the journey even more compelling. After all, I poured myself into science most of my life and will continue to drive vision and innovation in the field of science but, that’s when I’m not racing,” Heinricher said. 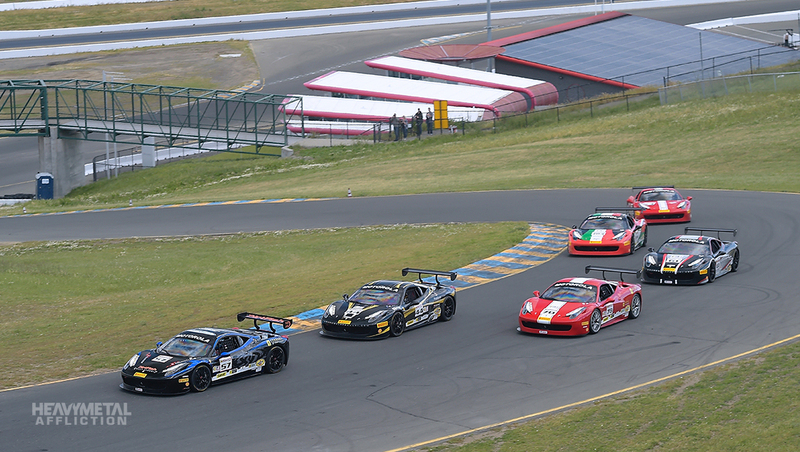 Now here is the spec sheet and some photos of Heinricher and her 458 doing their thing. Can’t get enough Forza? Be sure to check out the #ForzaFriday livestream on our Twitch channel starting at 3 p.m. Pacific. Turn 10 Community Team Member phredesign is going to be hosting an epic drag race session. I hope to see you there!